Dive for Cancers day is benefiting the Cancer Council Australia and is a day you’ll never forget. It’s a day to remember those lives we have lost to cancer and a day to celebrate the lives we are saving. Proceeds from The day will provide vital funding to research and clinical care at Cancer Council Australia, dedicated to cancer, and home to one of Australia’s largest cancer research group. Cancer Council immediately assigns your funds to enable life-saving cancer research and support. This means a contribution today will have an immediate impact in the fight against cancer. The funds we raise will the Cancer Council clinicians and researchers to improve cancer detection, and to find gentler and more personalised treatments and support for cancer. After meeting and gearing up, you will enjoy a day of diving, lunch, prizes, Auctions and guest speakers. When you arrive at lunch you will receive a warm welcome from the dive for cancer crew, who are there to help you celebrate your amazing achievement…not only for diving, but also for the difference the money we raised is making in the lives of their families and friends affected by cancers The day concludes with Closing the silent auction, thank, and celebrate you for your tremendous achievement towards ending all cancers. 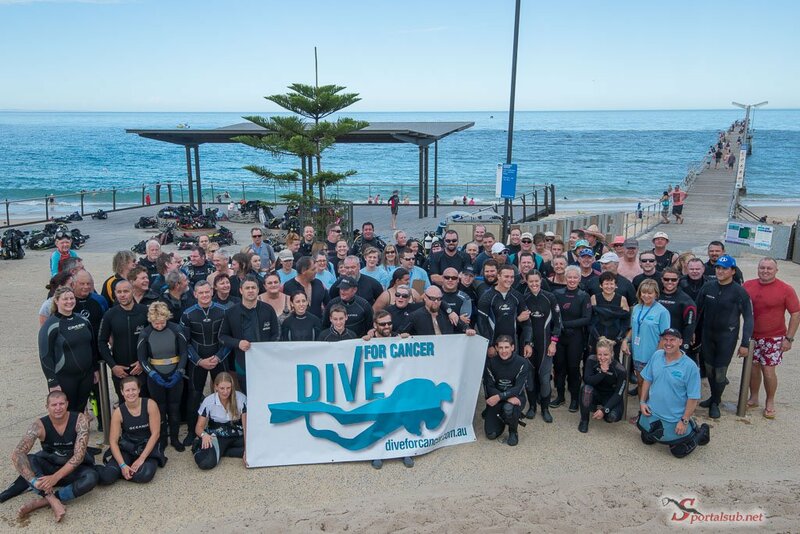 Dive for Cancer would like to extend a special thanks to all participants, sponsors, volunteers and supporters for their kind and generous support. The funds raised hopefully will make a significant impact to help The Cancer Council. Without the assistance of these organizations and individuals, the day would not be possible.